A great designer offers you a virtuoso tour through the world of sailboats. Bob Perry initiated the trend toward fast voyaging sailboats with his world-famous Valiant 40, which has been in production longer than any other cruising sailboat in history. But Perry is not only a leading yacht designer - he is also an accomplished wordsmith who 's blunt, insightful, irreverent, and always entertaining boat reviews have captivated readers of "Sailing" magazine for 24 years. 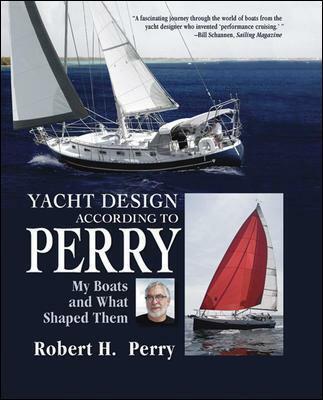 This book is vintage Perry, a no-holds-barred tour of the world of yacht design through the benchmark boats of his 30-year career. Bob Perry's body of work has established himas one of the world leaders in performance-oriented cruisingyachts.Thanks to his sharp wit and critical insights, hispopular yacht design reviews have appeared in Sailing magazinemonthly for 24 years.